Convinced that she has what it takes to be a detective, inquisitive secretary Kitty O'Day gets her chance to put her sleuthing skills to the test when her investment broker boss is mysteriously murdered. But Kitty's investigation hits a snag when Inspector Miles Clancy begins to suspect that she's the culprit. 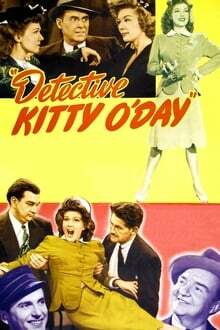 We don't have any reviews for Detective Kitty O'Day. We don't have enough data to suggest any movies based on Detective Kitty O'Day. You can help by rating movies you've seen.